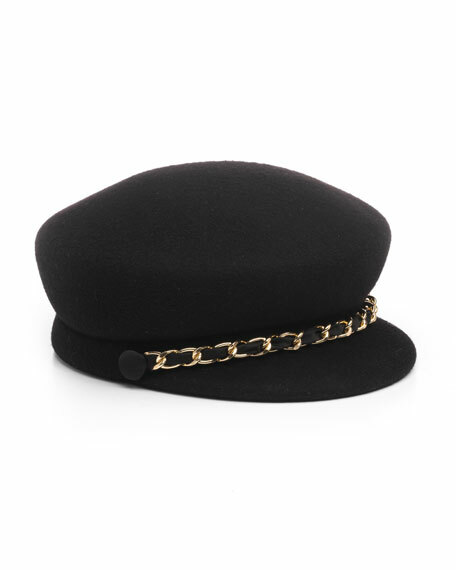 Eugenia Kim "Sabrina" wool newsboy hat. Golden curb chain woven with satin trim at front. Satin covered buttons at sides. For in-store inquiries, use sku #2566345.